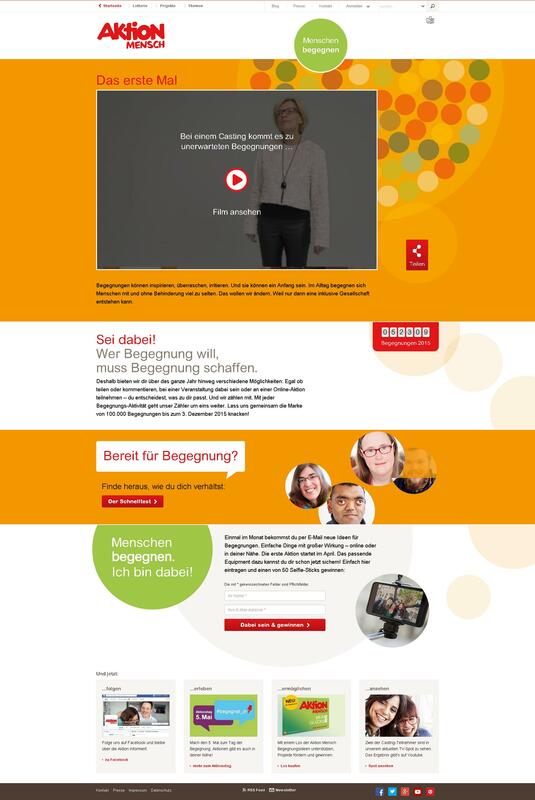 “Encounter” is a humorous digital campaign by Aktion Mensch to promote encounters between people with and without disabilities. The campaign, which was particularly popular on the internet, clarifies the topic of inclusion and invites people to participate with a raffle. ilscipio was responsible for the technical implementation, which included not only the integration of the sites, but also the development of a management system to record encounters.